Please complete the request form and we will get back to you soon. 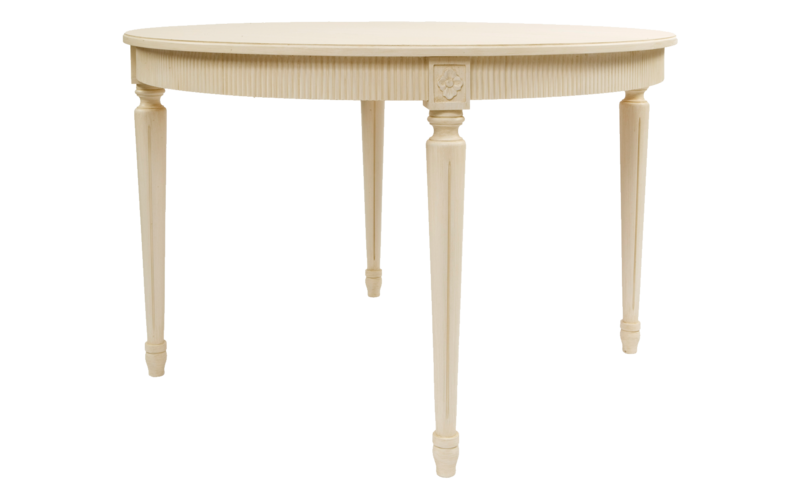 The Classic Gustavian Table comes as an extendable round table that can be made to order. Before purchase choose from three extensions: 1 leaf, 2 leaves or three. Product comes in Antique White as standard. Other Paint finishes are available. Full Product details can be found on the order page.